#91. 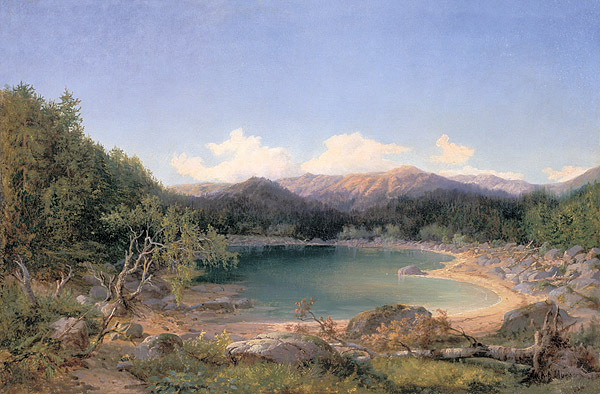 Mountain Lake Scene. 17 x 25.5, oil on canvas, relined in 1987. "Gilbert Munger" lower right. Looks like a West Virginia painting from early in Munger's career, but it is hard to be sure. Sold at Litchfield Auction, Litchfield CT, sale of 19 March 1987, est $2300-2500, to Robert Orcutt. 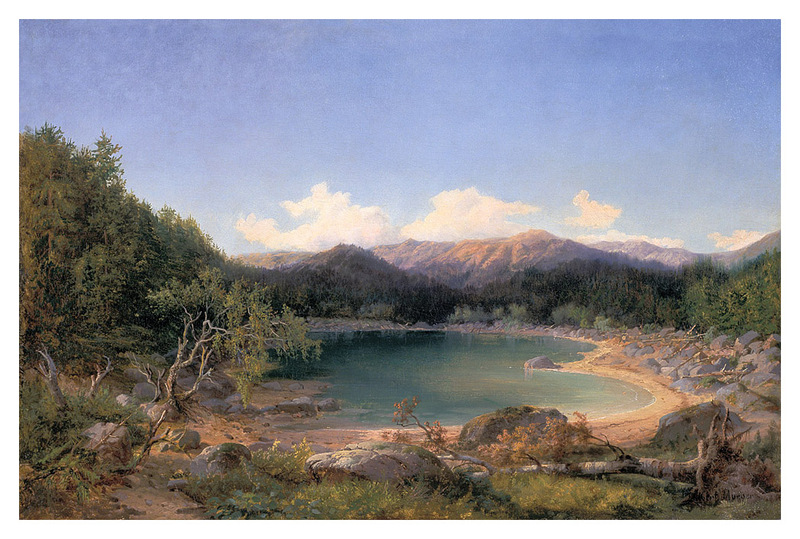 Gift of the Orcutt family in memory of Robert S. Orcutt to the Tweed Museum of Art, Univ. of Minnesota Duluth, in 1996. QFD 4. Image from author's transparency.